Rescuing human lives has to be the priority. Those rescued at sea must be brought to a safe port without delay. Controversies around the distribution of rescued people within Europe must be solved on land, and cannot be carried out at the expense of people in distress at sea. A fair distribution mechanism of people seeking asylum is needed. Safe and legal routes need to be created so as to prevent people from being forced into a situation of distress at sea. Prima si mette in sicurezza la vita e poi si fa politica! Solidarity is key if we are to improve. Together, our community stands up against the injustices faced by Europeans across the continent. Fighting to make sure Europe prioritises rescuing human lives over power struggles is one of those injustices. Can you donate just a few euros each month to help our community continue in our fight to keep refugees safe? I just signed a petition demanding that when our leaders take a humanitarian stance and provide refugees safety. 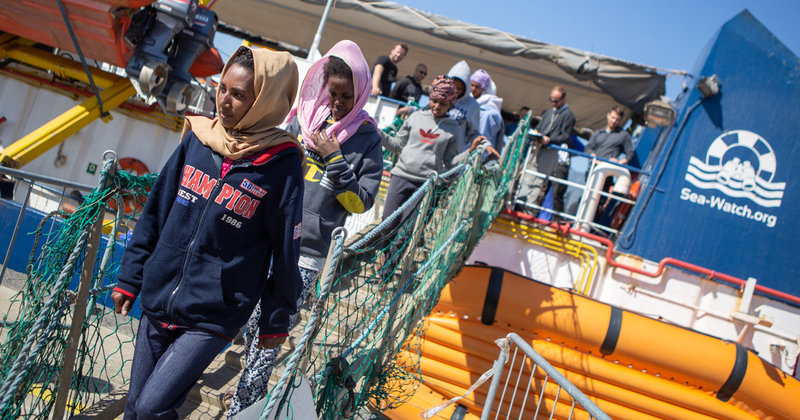 If you sign too we can use the power of our community to put even more pressure on them and let them know that rescuing human lives needs to be Europe’s priority. Together, we can show that we as European citizens are humanitarians and that we want a European wide response to this crisis. Can you donate just a few euros a month to help our community continue our work to ensure migrants and refugees have protection and safe and legal routes to Europe?